Mon Purse is the go-to-place to purchase European-made, quality leather handbags and leather goods. You also have the added feature of designing your own handbags and accessories as well as customising your items by monogramming them. 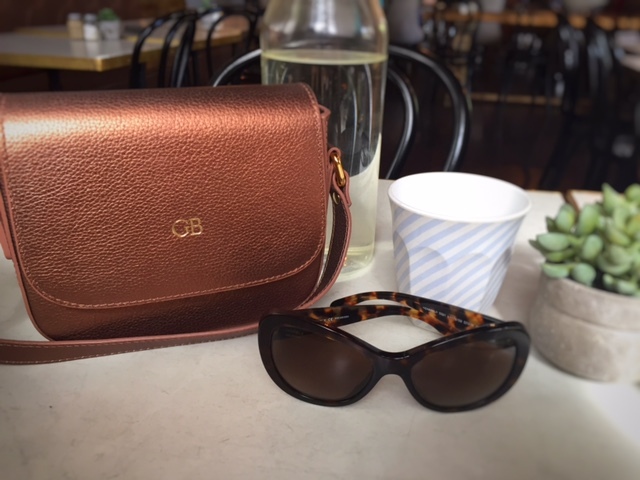 From backpacks to diary covers, clutches to card holders, cross-body bags to jewellery bags, wallets to iPhone accessories even make-up bags, mon purse has a wide range to choose from. I received this gorgeous cross-body satchel –“The Uptown” as a birthday gift and I love it! The bronze colour works well with everything so, it’s versatile and the size is practical and compact, fits all I need. The leather is high quality and the finish is seamless. I have been wearing it everywhere; to lunch and coffee dates, movies, particularly when out shopping and I don’t want to carry my typical bigger-sized handbags which tend to weigh me down along with all the other bags I’m carrying lol! What’s more, the metallic hue and shine make it dressy and stylish for evening wear. I love that I can wear this bag with a dress or with shorts or jeans. Mon purse leather goods will make the perfect Christmas gift for all the lovely ladies in your life.